Owning a RainSoft water softener system means never having to live with the adverse side effects of water hardness again. We install water softeners in Oklahoma City, OK, and other cities throughout North America, and our products are built to the highest industry standards – every model of water softener capable of providing a lifetime of superior performance. The model of RainSoft water conditioner that is right for your family will depend on a number of factors, including the size of your home and the amount of softened water your family requires on a daily basis. Currently, we offer two models: the fully automated EC4 Series and the timer-operated TC Series. Each water softener is highly effective at removing calcium and magnesium, two naturally occurring minerals that are primarily responsible for making water hard. Furthermore, water softeners protect household plumbing and water-using appliances from premature wear and tear. A study commissioned by the Water Quality Research Foundation in 2009 revealed that owning a whole-house water softener significantly improves the longevity of dishwashers, washing machines, and water heaters. To learn more, contact your authorized RainSoft dealer in Oklahoma City, OK, today. 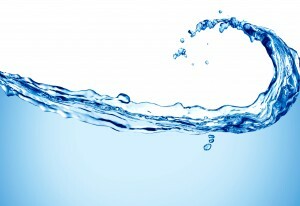 Since 1953, we have been at the forefront of the residential water treatment industry. In addition to water softeners, we also offer drinking water purifiers, whole-house “problem-solving” filters, air purification equipment, and more.